We had another event filled few days to end the month. The last weekend of January had members of the California Car Cover crew at 3 different locations in California. 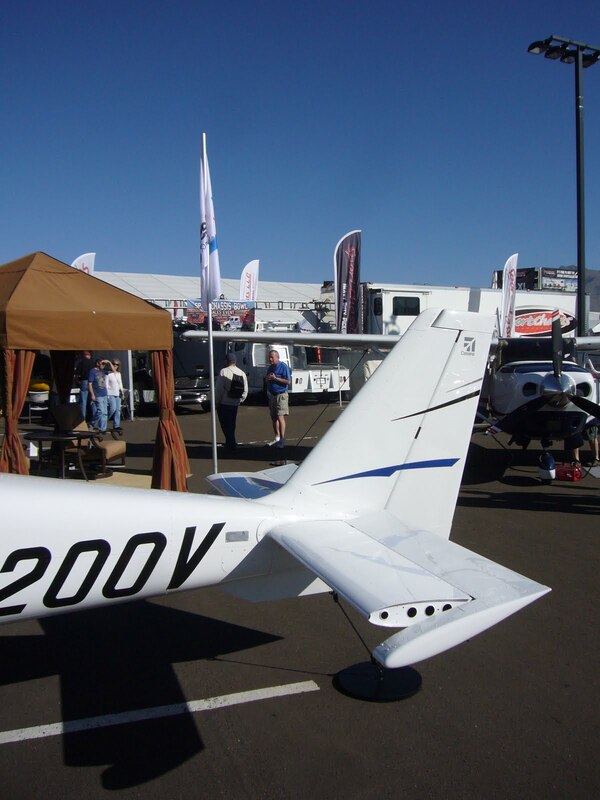 There was an annual swap meet in Turlock, Ca that our company has been attending for many years. 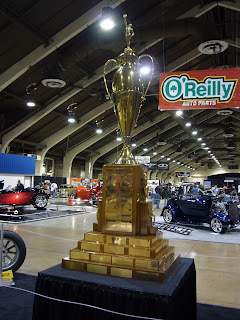 The largest event of the weekend was the Grand National Roadster Show. 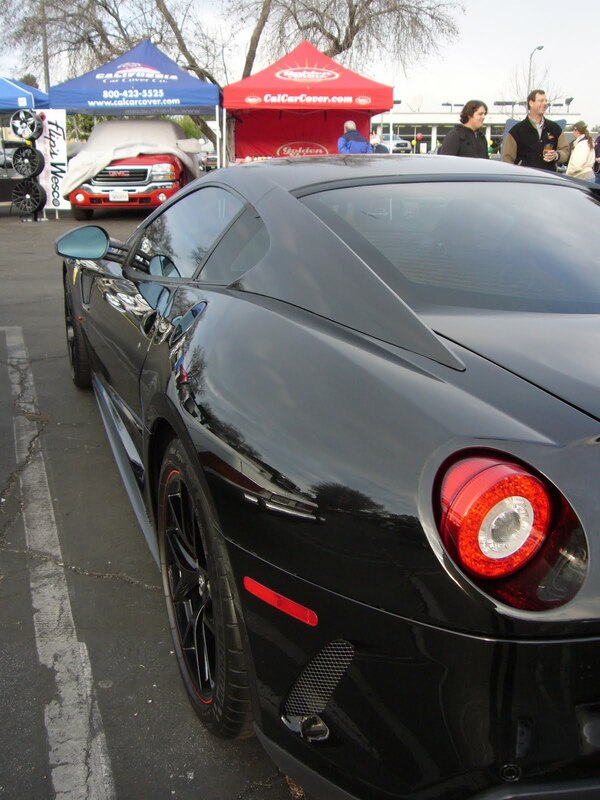 This event draws tons of people from around the world and brings some of the finest automobiles to the So Cal area. Lastly, the last Sunday of the month always means Super Car Sunday in Woodland Hills, Ca. Here are some photo highlights. 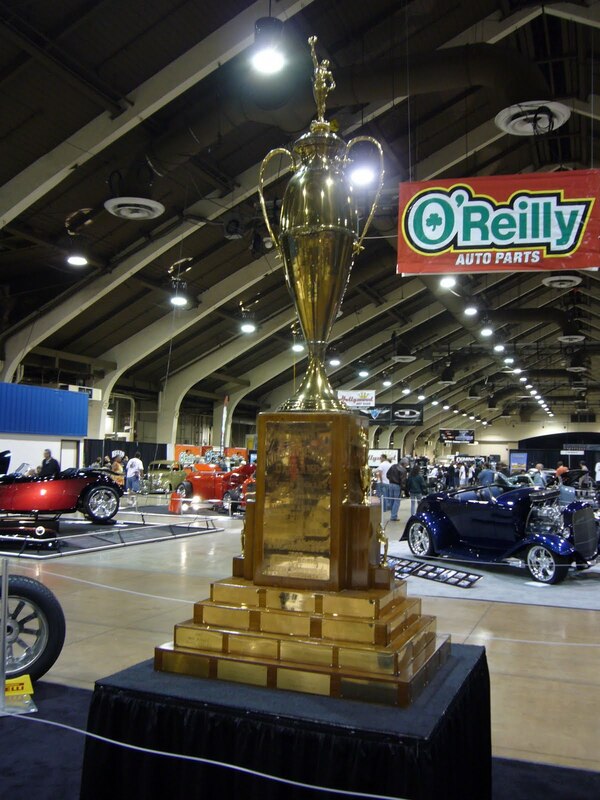 This show attracts a variety of hot rods and exotics, both new and old to the Westfield Promenade in Woodland Hills, Ca. Though rain shortened the day, there was still a great crowd and fine assortment of collector cars. 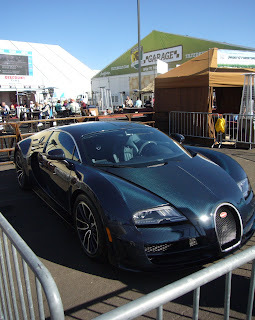 The Barrett-Jackson auction is Scottsdale, AZ is in full swing this week. For the first time in a number of years the California Car Cover crew is on hand selling custom fit car covers and demonstrating its Golden Shine car care products. 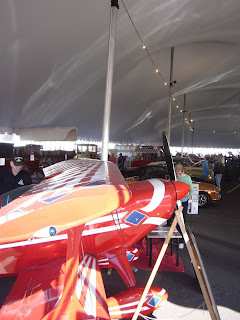 One of the great things about the Barrett-Jackson auction is the variety of merchandise that is on display. 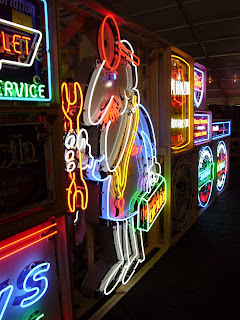 I always look forward to seeing what original neon signs will be on display each year. Haven't been to Barrett-Jackson yet? 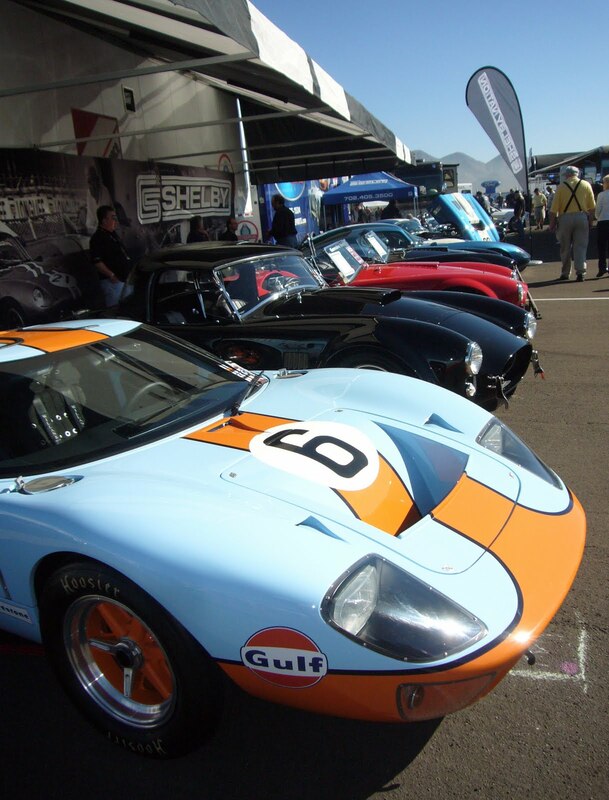 The Scottsdale event is their marquee auction and is worth the trip to every auto enthusiast. Even if you are not looking to buy or sell a classic car, the auction has a great collection of vendors, sights and activities to keep you busy. The hot spot at the auction this year in the Tilted Kilt Garage. This bar and restaurant is an Irish pub themed sports bar that staffs and attractive and personable group of women. Find the Tilted Kilt near you online. 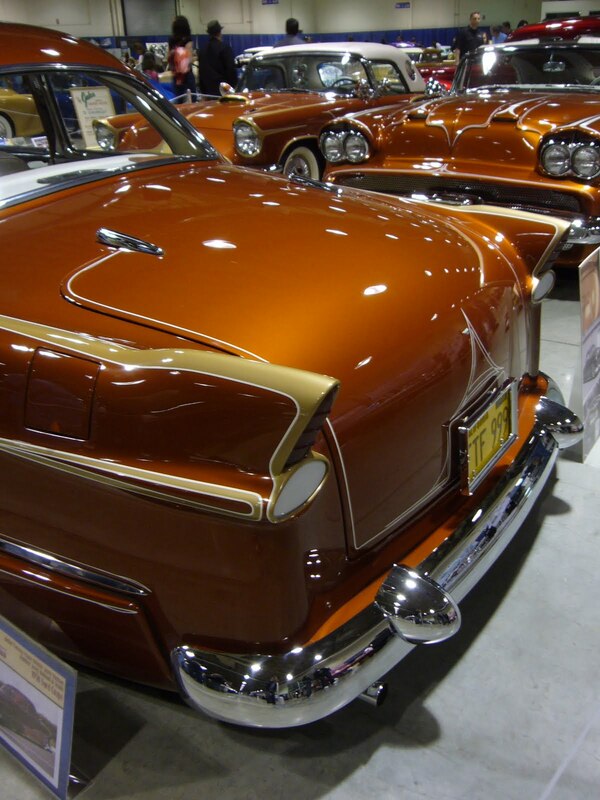 Plenty of classic are on display indoor and out. Many of the vehicles that will be going on the block this Friday and Saturday night are stored indoors. Many vehicles owned by celebrities or seen in movies will be up for sale. Tired of all the walking around at the show? Take a seat at one of the massaging chair displays. There is a chance you would fall asleep too. Row after row of vendors are displaying their products. 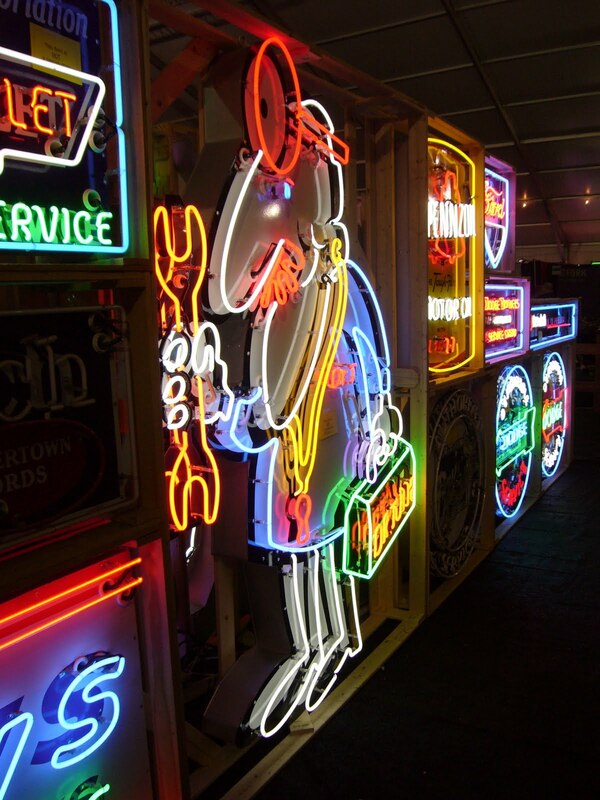 Besides the large displays from Ford and GM, you will see all kinds of items, from fishing trips and jewelry, to custom garage cabinets and slot machines. Tent after tent of classics waiting to be sold this week. 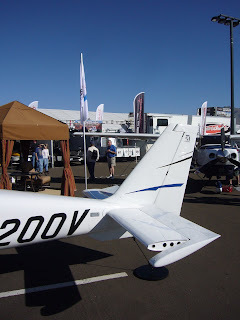 Planes, boats, wagons, and more. Have the need for speed? You can sign up for a ride along with a skilled driver in a Corvette or take a more casual spin around the auto cross. This 2011 Chevy Camaro was featured on one of the January 2011 California Car Cover catalog covers. The striking black-white Camaro was customized by the crew at Hot Rides by Dean in Moorpark, Ca. 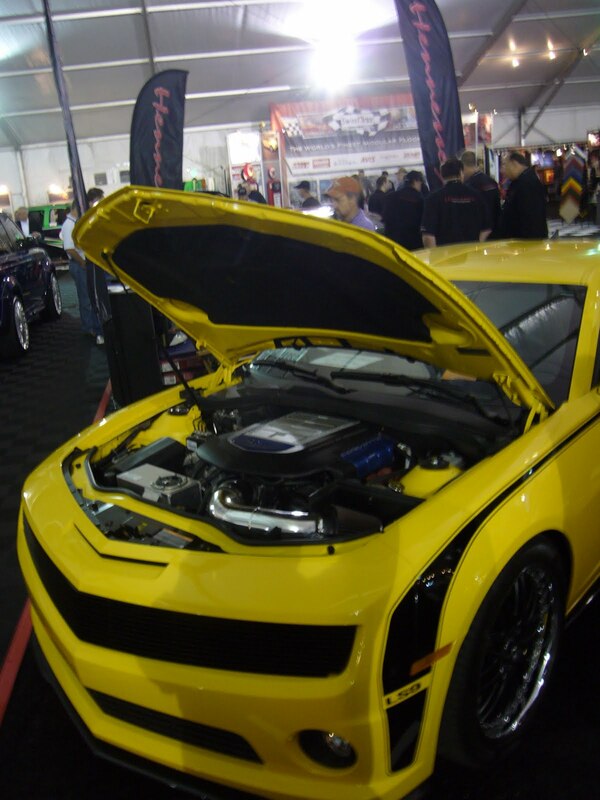 The Camaro features 22" Billet Specialties wheels, Hotchkis suspension components, painted ground effects and Nitto tires. More information on Dean's shop can be found on Facebook. To improve the perfomance, Dean's shop added a Magnacharger supercharger, Corsa exhaust and Baer brakes. 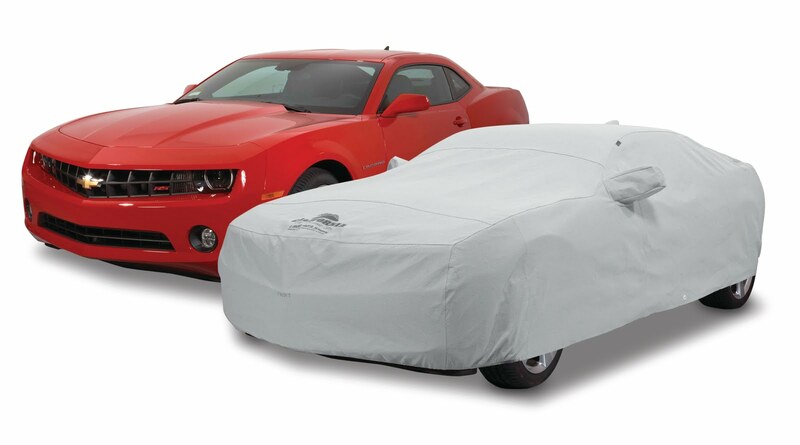 Below is an example of how one of our Stormweave material car covers looks on the new Chevy Camaro. Want to see more Camaro photos? 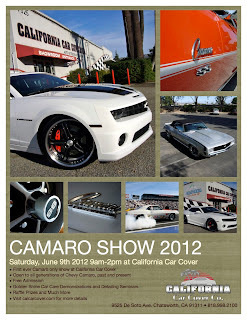 Check out the highlights from our 2012 Chevy Camaro show. It attracted quite a few Gen5 Chevy Camaro vehicles. 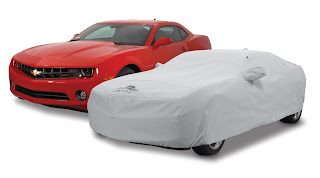 For more information on California Car Cover and the products it carries for the new Chevy Camaro, please visit our website. 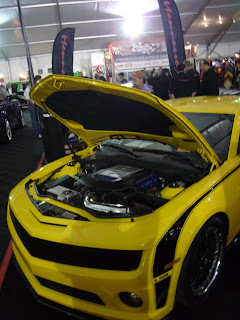 Want to see more photos of custom Chevy Camaro vehicles? 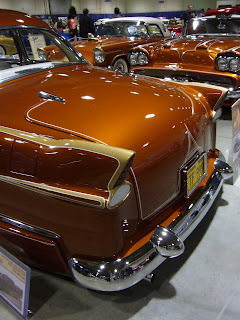 Check out our Flickr page where we upload photos of custom cars from car shows all over the country. There are a lot of photos of new Camaros there.